As a nine-story tower rises across Clifton Road from Harris Hall, I’m reminded of the Calico House. 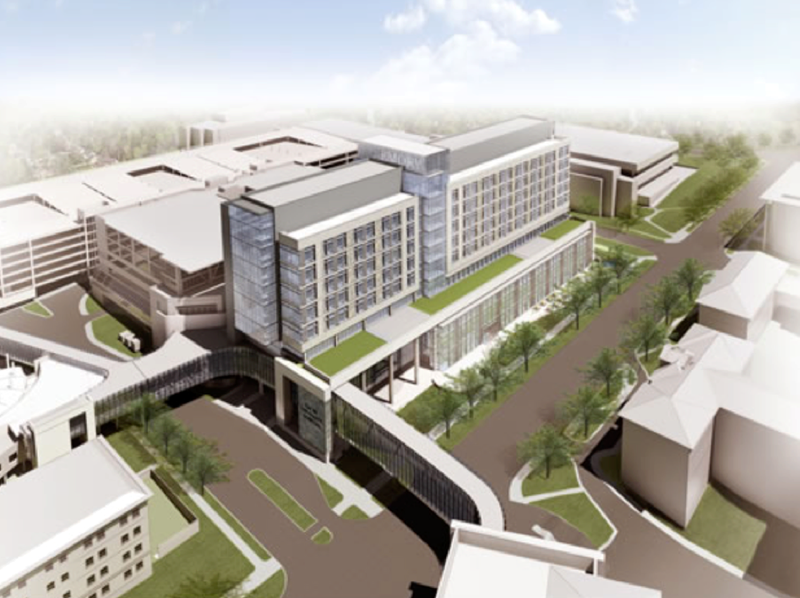 The J Wing, as this new tower is called, is the latest addition to Emory University Hospital and will house 210 beds, new operating rooms, new ICUs, and a larger emergency department. Here’s another look, circa 1922. The A and B wings, clad by construction scaffolding, appear in the upper-right corner against the edge of the photo. When the Methodists of north Georgia resolved, in 1903, to build a new hospital, they decided to locate it in Atlanta but soon ran into fund-raising difficulties. Coca-Cola’s Asa Candler, a devout Methodist, came to the rescue and bought the Calico House for use as that hospital, which the Methodists called Wesley Memorial Hospital. 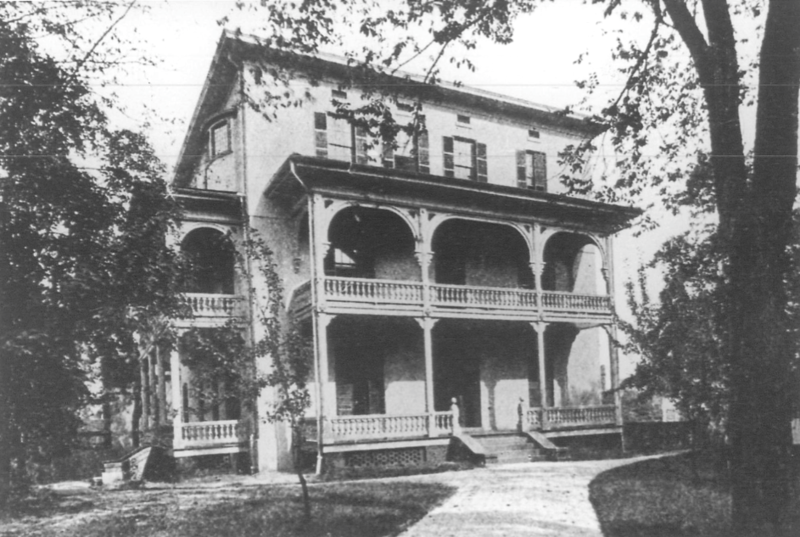 It housed fifty beds, had a medical staff of thirty-four doctors, and offered a training program for nurses (the forerunner of Emory’s Nell Hodgson Woodruff School of Nursing). 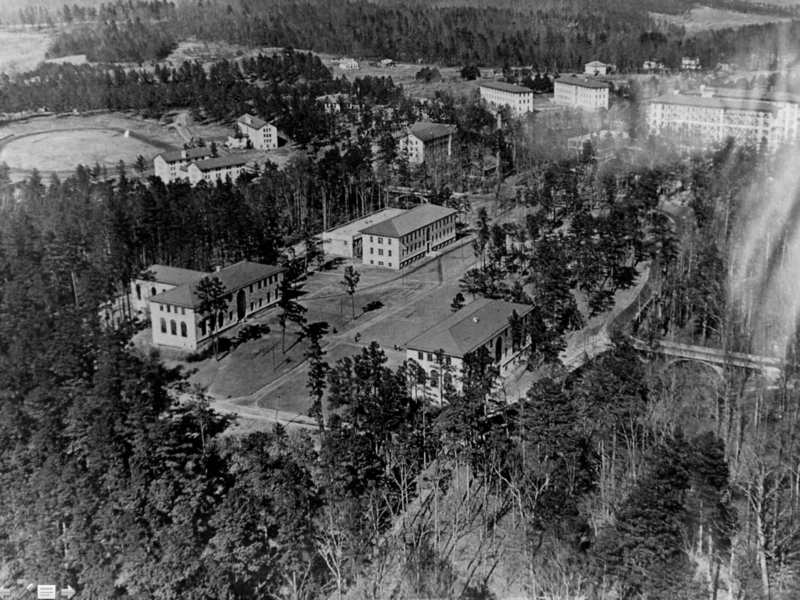 With the Emory School of Medicine functioning in Druid Hills after 1917, the hospital was moved to the A and B wings in December 1922. Twenty-five patients in the former Calico House were driven to the new hospital in ambulances provided by Atlanta’s funeral homes. 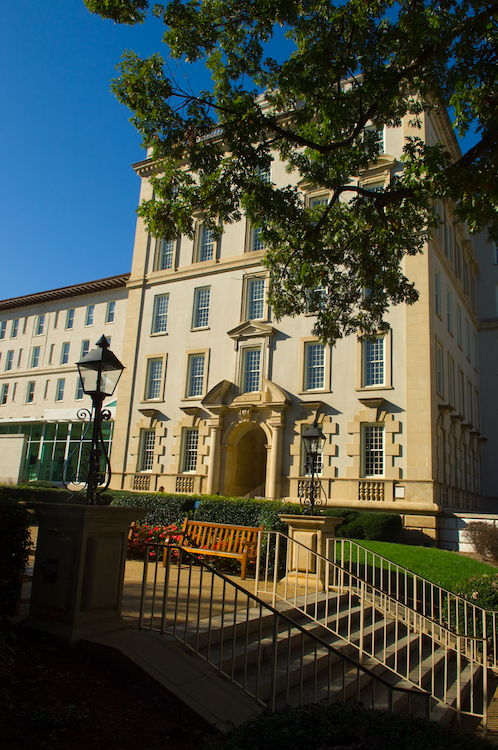 The hospital was renamed Emory University Hospital in 1932 and has grown with the university.